Huawei sub-brand Honor has today announced the offline availability of its Honor 10 Lite smartphone. The 6GB+64GB RAM and storage variant of the phone will be available for Rs 17,999 in Sapphire Blue and Sky Blue colours across all leading offline stores across India. And in order to push the offline sales, the Chinese brand has set up AI studios in 100+ stores across 12 different cities where users will be able to experience the 24 MP AI Selfie camera feature at a customised Selfie Studio. 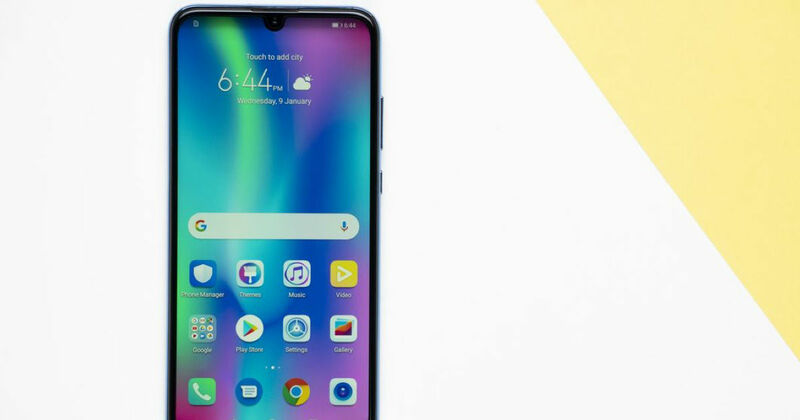 The HiSilicon Kirin 710 and ARM Mali-G51 MP4-powered Honor 10 Lite sports a 6.21-inch FullView FHD+ display with a resolution of 2340×1080 pixels and 91 percent screen-to-body ratio. It runs Android 9 pie based EMUI 9.0 out of the box and sips power from a 3,400mAh battery pack. It even supports GPU Turbo 2.0 technology for gaming and other high-intensity needs of the user. Both the 4GB and 6GB RAM variants offer 64GB in-built storage, which is expandable up to 512GB via microSD card. The smartphone pairs a 13MP primary sensor along with a 2MP secondary lens on the rear side and a 24MP camera on the front. Some of its heavily marketed features include a rear-mounted fingerprint reader, Face Unlock, Wi-Fi bridge, calorie detection, app assistant, dual VoLTE and AI shopping among others. Honor 10 Lite was first launched in India last month via Flipkart for Rs 13,999 and Rs 17,999 for the 4GB+64GB and 6GB+64GB variants respectively.